7% Goods Service Tax (GST) will be imposed over the total invoice value if purchased locally in Singapore. However if you are a tourist visiting Singapore, this GST amount can be refunded at the Changi Airport GST Refund Centre before departure and this must be done within 30 days. Please note that only Foreigners / Tourists who have met the Tourist Refund Scheme's conditions and eligibility criteria can claim for the GST refund. Please visit https://www.iras.gov.sg/IRASHome/GST/Consumers/Tourist-Refund-Scheme/ for GST Guide for Visitors on Tourist Refund Scheme. With FaceAware, Spark lifts off from your hand by recognizing your face.1 It takes off and hovers in place within seconds of powering on. In TapFly mode, just envision your shot and Spark captures it for you. Tap your phone screen and Spark, using vision technology, flies in the direction of your tap or exactly where you tapped while actively sensing obstacles. Capture shot after shot with just your fingertips. With ActiveTrack, Spark automatically recognizes objects of different shapes and sizes then tracks them according to what they are and how fast they move. This makes tracking much easier and more reliable. Deep learning gesture recognition allows you to take selfies with simple hand motions. With PalmControl mode, control Spark&apos;s movement by hand. If you want, leave your remote controller and phone at home. 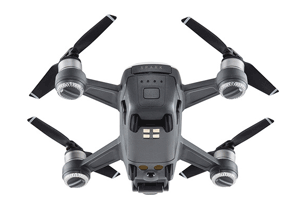 Spark's Flight Autonomy system includes the main camera, vision positioning system (VPS), 3D sensing system, dual-band GPS, high-precision inertial measurement unit, and 24 powerful computing cores. This allows Spark to hover accurately anywhere with VPS assistance at up to 98 ft (30 m), sense obstacles from up to 16 ft (5 m) away, and land safely. 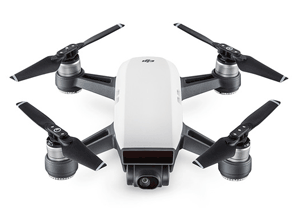 Like all recent DJI drones, Spark can return to its home point automatically with sufficient GPS signal. 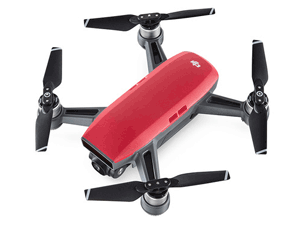 If the battery gets too low, connection is lost, or you hit the Return to Home (RTH) button, Spark flies back to the preset home point while sensing obstacles in its path. Spark&apos;s downward-facing camera captures images of the area surrounding the home point and references these images during RTH for a safe landing. DJI&apos;s GEO system lets you know where drone flights may raise safety or security concerns, such as near airports or stadiums. This provides the information needed to fly Spark safely and responsibly. Spark uses a high energy density LiPo battery for optimal performance. 12 intelligent protection functions help deliver safe flight. Additionally, Spark&apos;s battery estimates remaining flight time, letting you know when to land in real time.